Dry-aging beef is a process that involves hanging freshly slaughtered beef in a temperature-controlled environment for anywhere from a couple of weeks to several months or more before being trimmed and cut into steaks. During this process, naturally-occurring chemical changes, including bacterial, enzymatic breakdown, and oxidation, cause the meat to become more tender and flavorful. It is the depth of flavor and tenderness that creates value and sets dry-aged beef apart from what is found in the average grocery store. There are three primary changes that occur to beef when it goes through the dry aging process. The first major change that will occur to beef during dry-aging is tenderization. The enzymes that are naturally present in the meat will break down the tougher muscle fibers and connective tissue, resulting in a very tender piece of meat. In fact, a well-aged steak will be significantly more tender than a fresh steak. The second noticeable change is to the flavor. This change is due to numerous bacterial and enzymatic processes that make the meat more flavorful. Properly dry-aged meat will develop beefy, nutty, and almost cheese-like aromas. The third change that occurs to meat during the drying process is moisture loss. A dry-aged piece of beef can lose a third of its initial volume in water loss, which concentrates its flavor. Most of this moisture loss occurs in the outer layer of the meat, which is trimmed off after the drying process and for preparation before cooking. Though it may weigh less after the drying process than wet-aged beef, or meat you find in the grocery store, the result is a premium cut of meat that is much more flavorful and tender. The conditions necessary for dry-aging meat require spacious facilities and expensive refrigeration equipment where slabs of beef can hang and the temperature can be monitored and carefully controlled. Therefore dry-aged beef is typically only found in specialty steak houses and butcher shops, or available through specialty providers such as Rafter W Ranch. Between the involved process of dry-aging meat and the tender, flavor-filled result, dry-aged meat comes at a premium price that is reflected in every enjoyable bite. 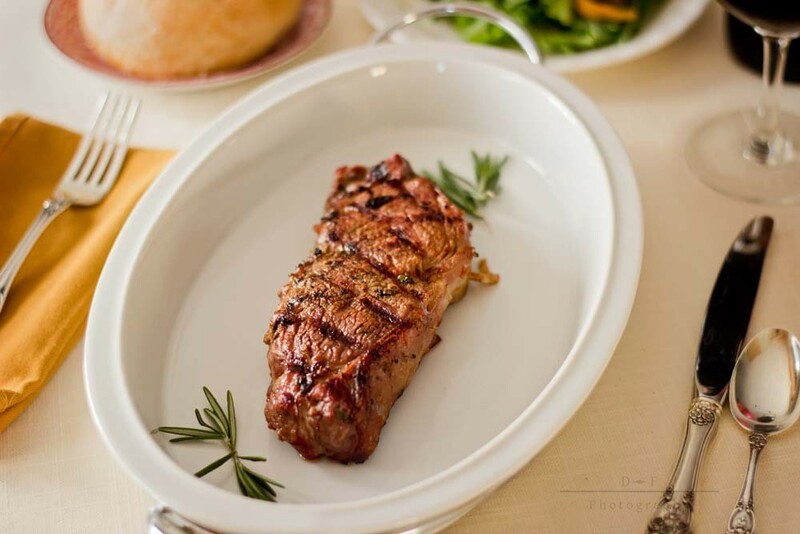 If you would like to experience the tender and flavorful benefits of dry-aged meat, contact Rafter W Ranch in Simla, CO at (719) 541-1002 or shop now in our online store.